Home » New York City » How Much is 70 Hot Dogs? Results from Nathan’s 4th of July Eating Contest. It’s not every day a new record is set in competitive sports. 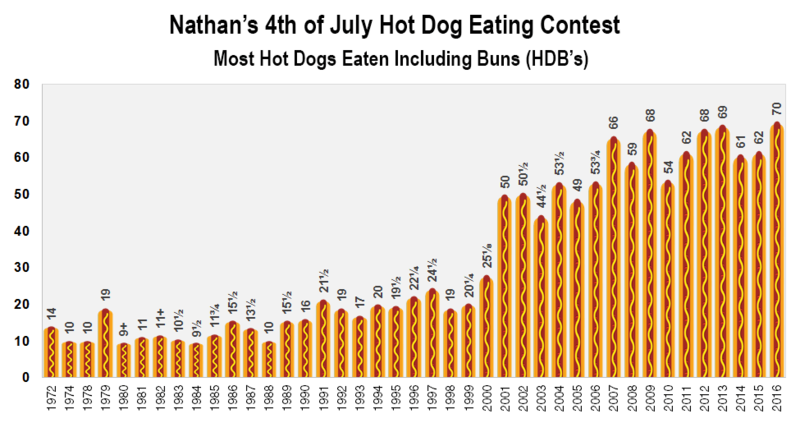 But today, Joey “Jaws” Chestnut scarfed down 70 HDB’s (hot dogs with bun) in 10 MINUTES, a new record for Nathan’s Famous 4th of July Hot Dog Eating Contest. Nathan’s competition has come a long way since 1972, when the winner ate “just” 14 hot dogs (in 3.5 minutes). Here is how the winning number of hot dogs has evolved over time. How much is 70 hot dogs? According to Nathan’s website, one of their hot dogs weighs 3.5 oz, and has 280 calories. That means 70 hot dogs weigh 15 pounds and have 19,600 calories. Someone of Chestnuts age (32 years) and weight (225 lbs) burns about 3,000 calories a day. At that rate, it will take him a about a week (6.5 days) to burn it all off. To put 15 pounds in perspective, that’s a good-sized Thanksgiving turkey, before it’s cooked. 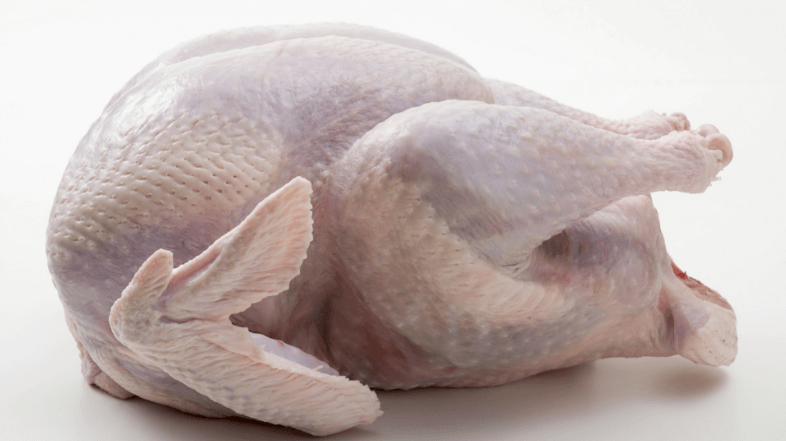 Think back to the last time you picked up a whole, uncooked turkey. Now, imagine getting the entire thing down your throat and into your stomach in 10 minutes. As far as I can tell, Nathan’s doesn’t list the length of its hot dogs on the website. But its regular hot dog has about half the calories of its foot-long dog, so 6 inches is a reasonable guess. If that’s right, those 70 hot dogs would measure about 35 feet in length when laid end-to-end, about the height of a 3-story building. Human progress never ceases to amaze.